The truth is, finding the right restaurant for the next romantic date or intimate outing with friends can be tricky. (Especially for the guys, I hope this list comes in handy for you for your bae). 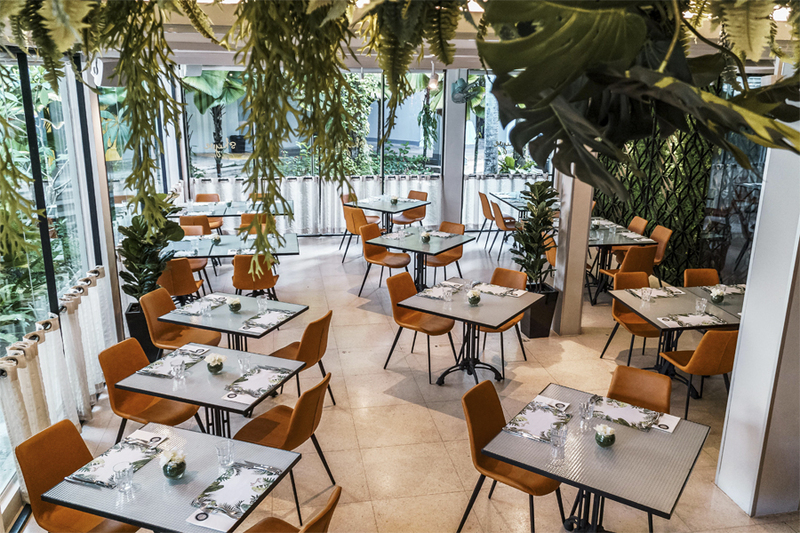 Here are 10 Modern European Restaurants in Singapore where you can have some exquisite dishes, in contemporary and casual setting, some with exceptional views of the Singapore skyline or Botanic Gardens. This would seem like the perfect date, with a tour of the famous National Gallery (the biggest museum in Singapore), followed by a contemporary Italian meal upstairs at Aura. 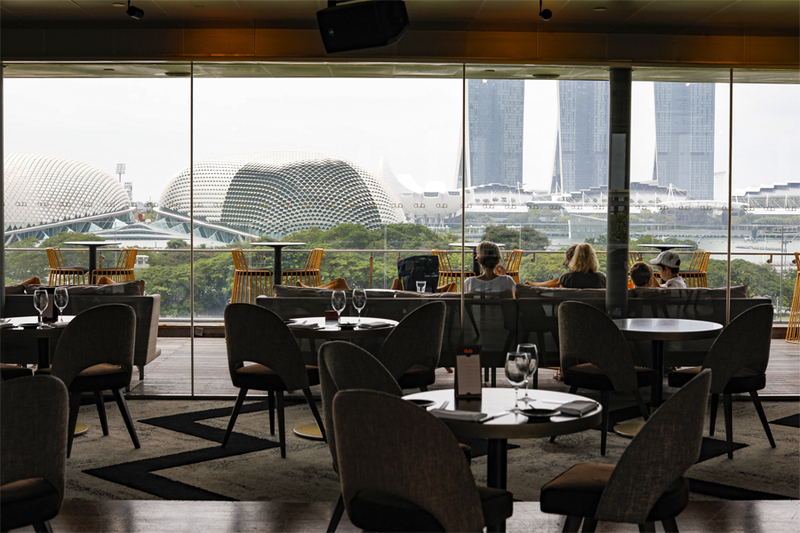 The 90-seater Italian Restaurant is also joined by a sprawling 200-seater rooftop Sky Lounge – in which you get views of the Padang, Marina Bay Sands and Esplanade. Imagine having some sunset cocktails and desserts such as Yuzu Panna Cotta in the evening. Beautiful. In terms of food, get treated to classic Italian cuisine of Tuna Tartare with Avocado, Salmon Roe and Crostini ($28), Fettuccine with Spanner Crab, Prosecco and Fennel Pollen ($38), Hokkaido Scallops with Finferli Mushrooms, Truffle and Parsley Root ($55) and Grilled Iberico Pork Chop with Tomato Petals and Burnt Onion Cream ($45). 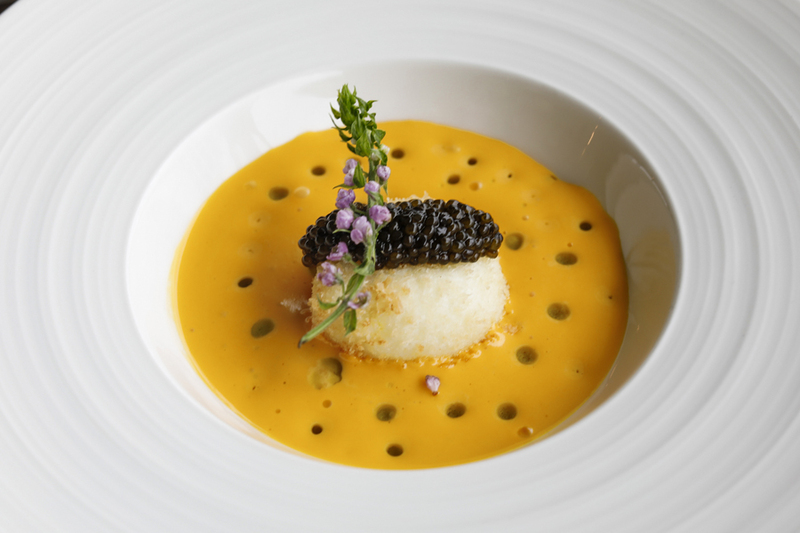 The Crispy Egg with Sevruga Caviar, Cod and Sea Urchin Custard ($38) coming gorgeously plated, is as delightful as how it appeared. 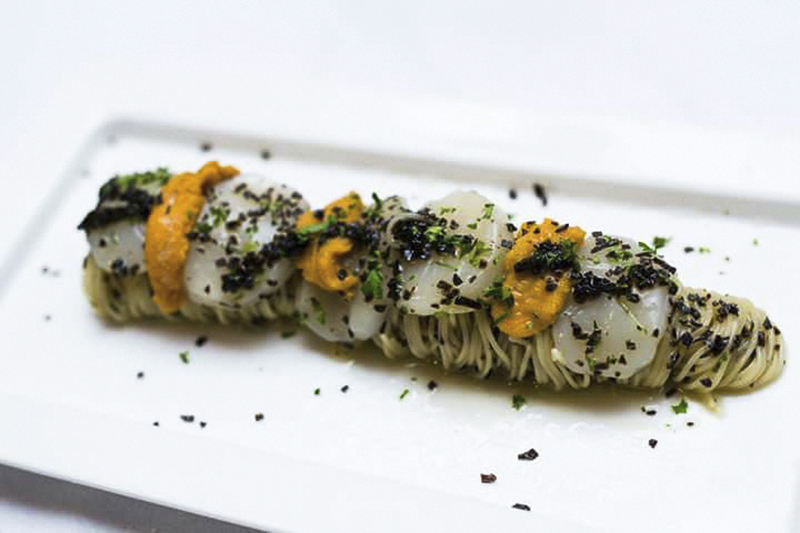 The homemade Tagliolini pasta ($38) is crowned with butter-poached scampi, lavished in scampi bisque topped with an indulgent dollop of avruga caviar. The luxurious base sauce cooked from roasted scampi shells that were flambéed with martini, and tomato sauce, was memorably tasty. A must-order. 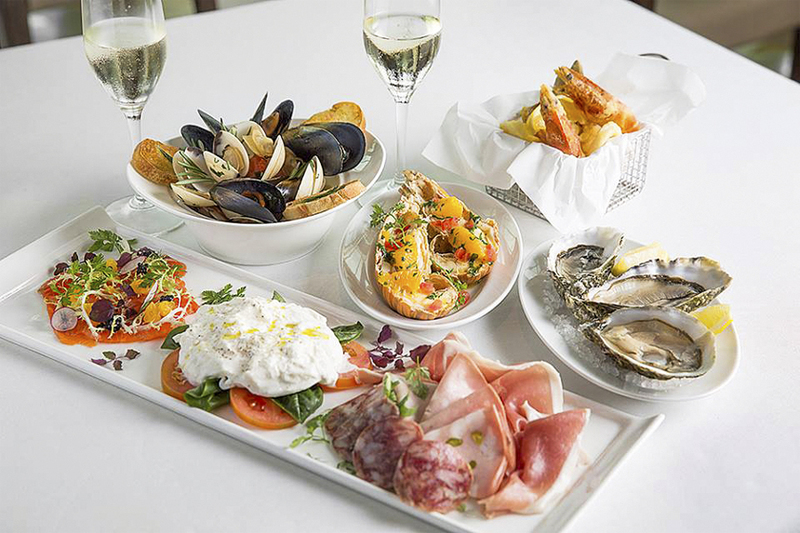 Located at the top of Ocean Financial Centre in the CBD, the view from Zafferano on the 43rd floor overlooking the Marina Bay Waterfront could make all those worries go away. 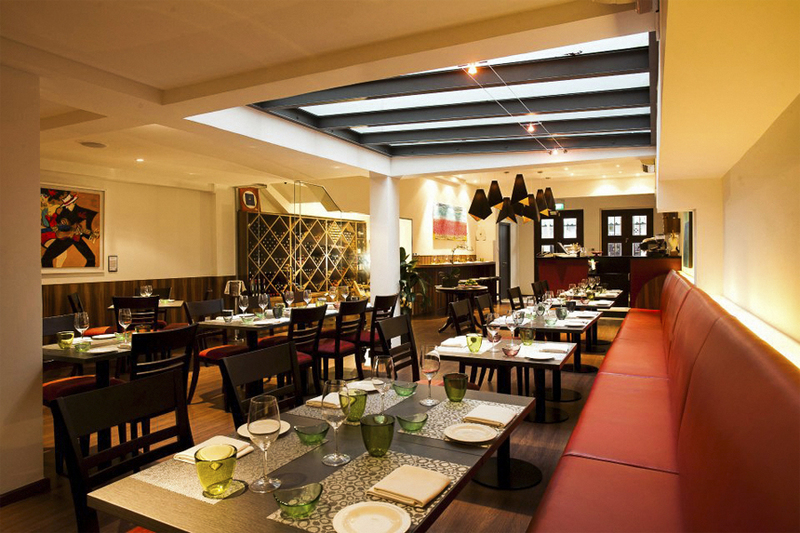 This is the venue suitable for the corporate lunch, romantic dinner, or birthday celebration. Zafferano’s signature dishes include the Raw Hokkaido Scallops ($32) with saffron, avruga, snow peas, capers; Raw Red Prawns from Mazara ($32) accompanied with warm ricotta, tomato confit and cocktail sauce espuma; Fresh Burratina Cheese from Andria ($28); Oven-Baked Black Cod ($58) with vanilla scented green asparagus roasted potato purée; and 150 days grain fed Black Angus Beef Tenderloin ($58) gratinated with liquorice and capers, celery root purée, leeks. There is a special significance behind this dish, as Head Chef Emanuele Faggi was taught the recipe from the late Chef Gualtiero Marchesi himself during his internship at L’Albereta Resort. The risotto dish from ‘Vercelli’ is cooked with saffron, bone marrow and decorated with 24 karats gold leaf. 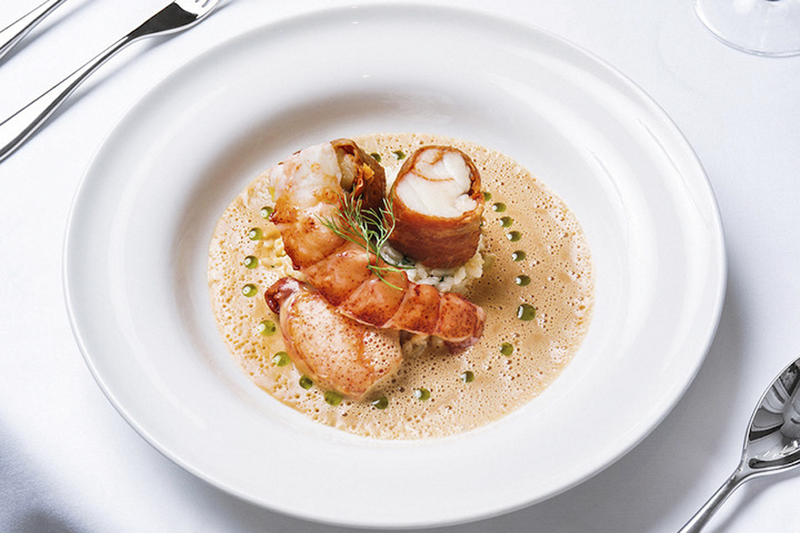 Wine & Chef serves up “semi fine-dining food” at pocket friendly prices. A big reason why they are able to keep costs lower is because the restaurant imports Italian wine directly from the wineries and boutique wine producers, in turn passing on the savings to the consumers. 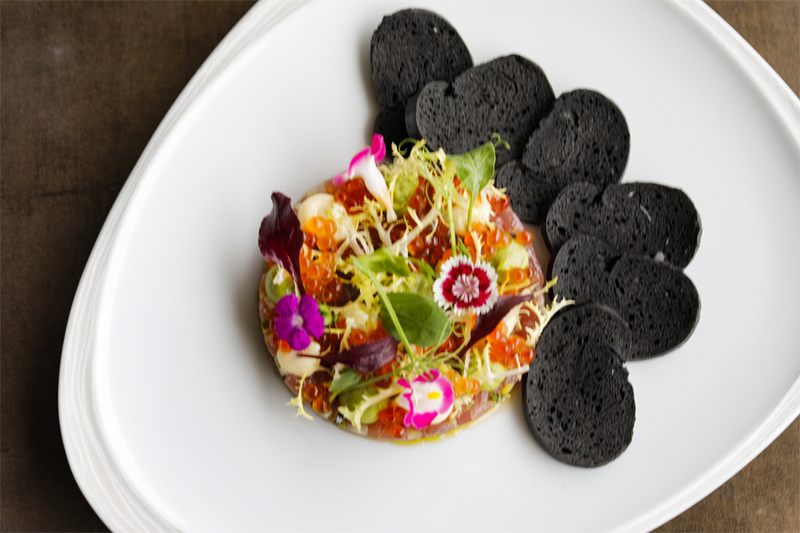 Dishes that Wine and Chef recommends include the Wagyu Beef Tartar, 100 Day Grain Fed Ribeye Steak, Salmon Crudo, ‘Due’ Finger, Seared Scallop, Roasted Baby Chicken, Salmon Risotto, Pork Collar, Scallop Capellini, Truffle Fries, and ‘Tea’ramisu. 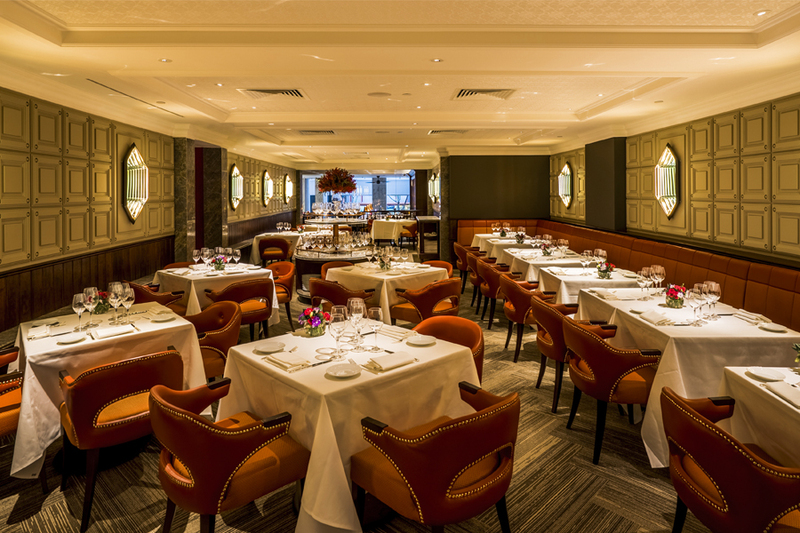 Located on the bustling stretch of 55 Market Street, decked in fire engine red leather seats and lighted by handmade brass sconces, Art (formally known as “Osteria Art”) evokes the suave air of a private gentlemen’s club. It is a favourite for a power corporate lunch. 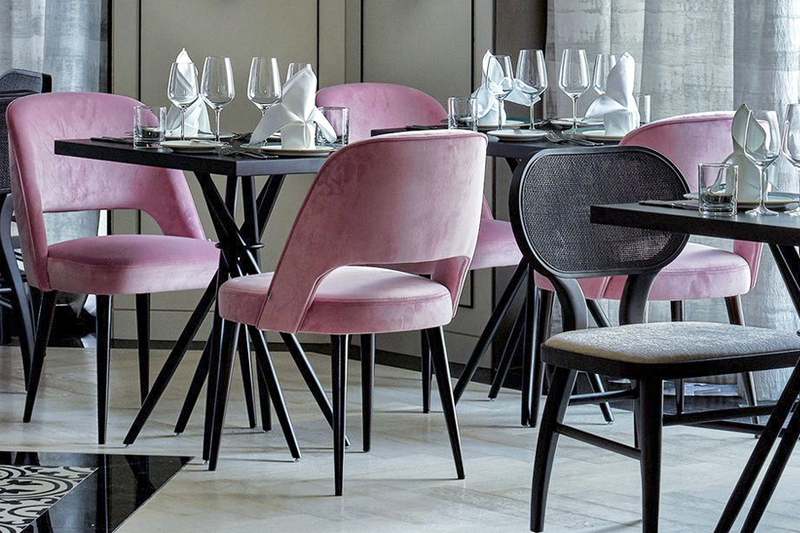 Come dinner time, you can experience elegant and intimate dining, with the offerings of classic Italian cuisine paired with a wide selection of Aperitivo selection. Art’s sumptuous offerings include Roasted Iberico Pork Belly with Rind Crumble, Butternut and Robiola Cheese ($24), Pappardelle with Pork Cheek & Red Wine ($28), Scallops with Cauliflower and Seafood Cacciucco ($28), and Big Eye Tuna Tartare with Blood Orange and Spring Salad ($28). 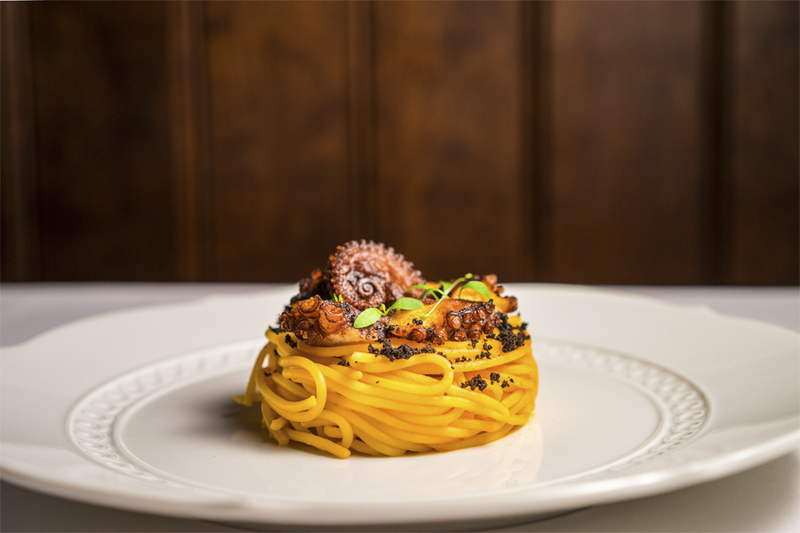 The Bronze Dye Spaghetti with Octopus and Smoked Paprika ($35) is a refined rendition of an iconic Naples classic. What you get is handmade pasta cooked al dente, matched with fresh flavours of grilled octopus, made more alluring with soft, smoky heat of the homemade Nduja. Amò has been one of the Italian restaurants that I would recommend to friends, good for both dates and small groups to hang out. The 90-seater casual Italian restaurant serves up food and drinks inspired by authentic traditions from different parts of Italy, cooked with modern techniques. 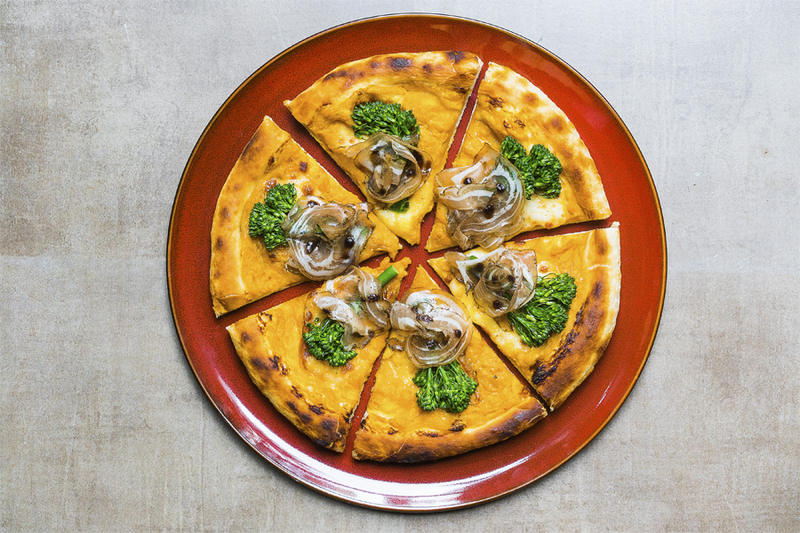 The menu features a spread of antipasti, artisanal pastas, homemade pizzas and large mains that are good for sharing. Other than the indulgent Spaghetti Chitarra with Boston Lobster and Tarragon ($98); popular favourites are the Octopus, Friggitelli Peppers and Calabrian Chili Vinaigrette ($35); Grilled Angus Beef Tagliata with Rucola and Parmigiano Salad ($48); and Butter Roasted Spring Chicken with Rosemary Jus and Roman Potatoes ($28). All pizzas at Amò are made using DOP ingredients – Denominazione di Origine Protetta which translates to “Protected Designation of Origin”. That means the ingredients and products used from local farmers and artisans from Italy. I have learnt that the dough itself is handcrafted using top quality 00 flour, and leavened with Amò’s own homemade mother starter to give the dough its light and airy texture. The pizzas are then baked in a specially commissioned firewood oven using Almond wood which gives the pizza dough a slight nutty char. If you are lost at what to get, order the Stracciatella, Prosciutto, Rucola and Fig Vincotto Pizza ($29). 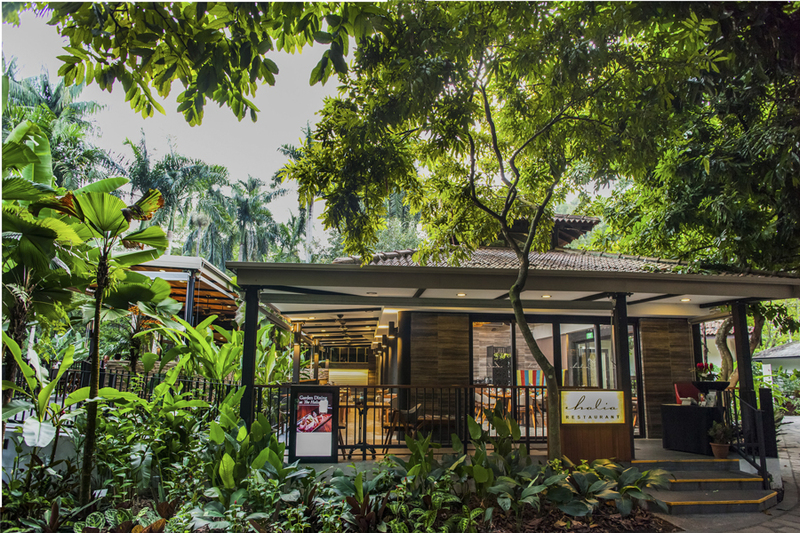 Tucked within the lush foliage of the Ginger Garden, The Halia at the Singapore Botanic Gardens is one of the first restaurants in Singapore to showcase modern European cuisine with Asian influences. Named after ‘halia’, the Malay word for ginger, its unique location within the UNESCO World Heritage Site makes it great place for romantic meals surrounded by flora and fauna. Signature mainstays includes Halia’s Singapore Chilli Crab Spaghettini ($26); Lemongrass & Ginger Prawn Salad ($16); Goats Cheese Mousse On Toasted Baguette ($16); Lamb Saddle Loin & Shepherd’s Pie ($46); and parfait dessert of Ginger Spice, All Things Nice ($9). 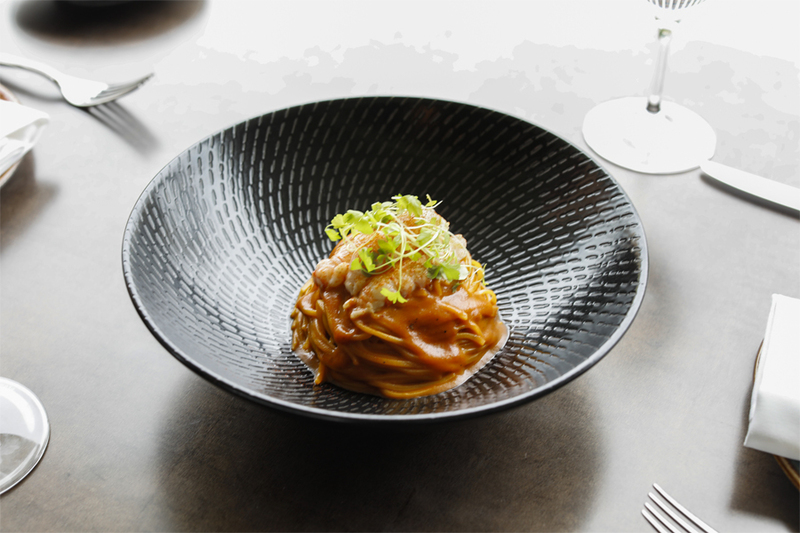 The Halia at Singapore Botanic Gardens was one of the very first to pioneer the signature Chilli Crab Spaghettini ($26), all the way back in 2005. 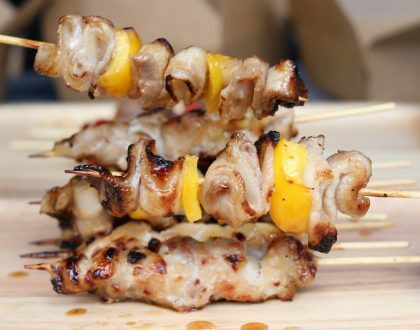 Inspired by the famous Singaporean dish, the chefs found the right balance of keeping the spiciness level manageable for international guests, while not losing its flavours of sweet and tangy. All-day Wine Bistro For Bistro Fare And Well-Priced Wines. Skyve Wine Bistro is an all-day Wine Bistro, where “Skyvers” from all walks of life can find respite over a good glass of wine and modern bistro fare. The dishes served by inspired by food experiences from the Chef’s travels, and you can find a variety from Trio of Oysters ($16), Beer Tartare ($18), Duck Confit ($28), Lobster Sang Mee ($34), Smoked Tenderloin ($38), to Pork Cheek Burger ($25). Also check out the venue’s extensive and affordably-priced wine collection. The gluten-free Duck Confit ($28) has always been Skyve Wine Bistro’s bestseller on the menu. 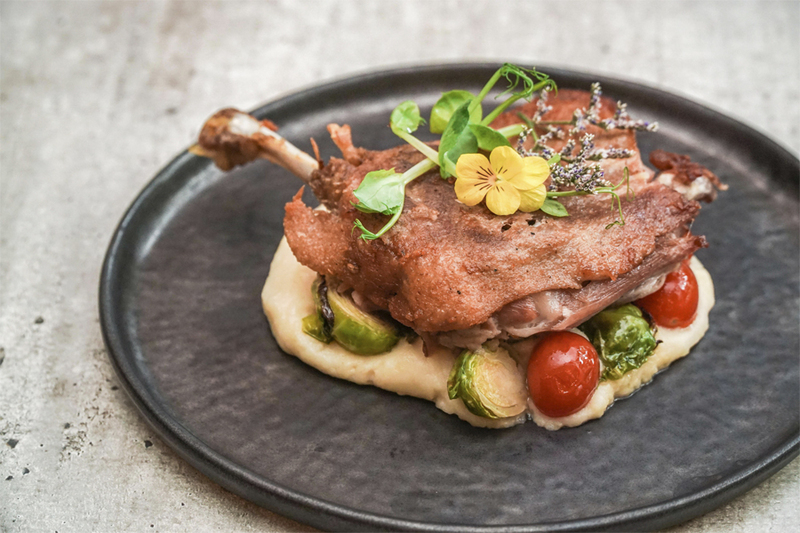 The tender yet crispy duck leg is accompanied by a gloriously creamy potato mash and crunchy candied brussel sprouts. 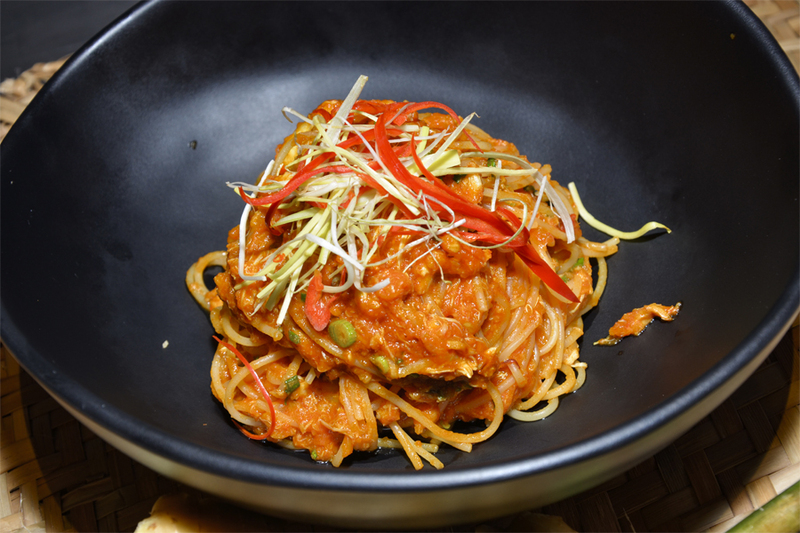 Located at Greenwood Avenue Bukit Timah, the homely restaurant of Rosso Bianco is about “the Italian way of satisfying the heart”. Seasonal ingredients from various regions in Italy, home-made sauces, are used to create a more authentic Italian dining experience. 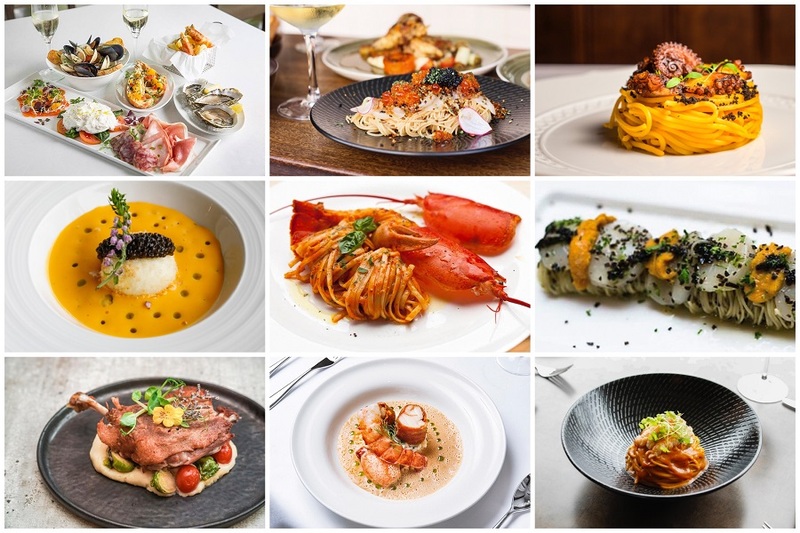 Signature dishes include Grilled Mediterranean Octopus Tentacles, Live Marine Boston Lobster with Angel-Hair Pasta, Pappardelle with Duck Ragu, Iberico Pork Chop, and Grilled Local Sea Bass. Strong in their pasta dishes, diners often go for the Tagliatelle with Porcini Mushroom & Truffle Cream Sauce ($19.80), Linguine with Chunky Fresh Mozzarella & Dattes Tomato Sauce ($24), and antipasti dish of Chilled Angel-Hair Pasta with Hokkaido Scallops & Sea Urchin ($48). 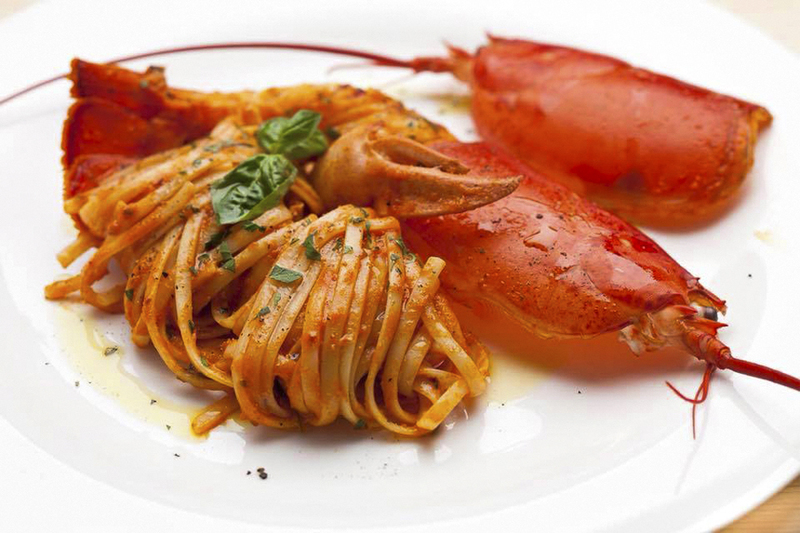 The classic Italian restaurant is nestled at the ground floor of 77 Amoy Street, helmed by Executive Chef and Owner Gabriele Piegaia. He used to work in Michelin-starred restaurants in Italy, including Ristorante Antica Zecca and Ristorante Antica Osteria del Bai. 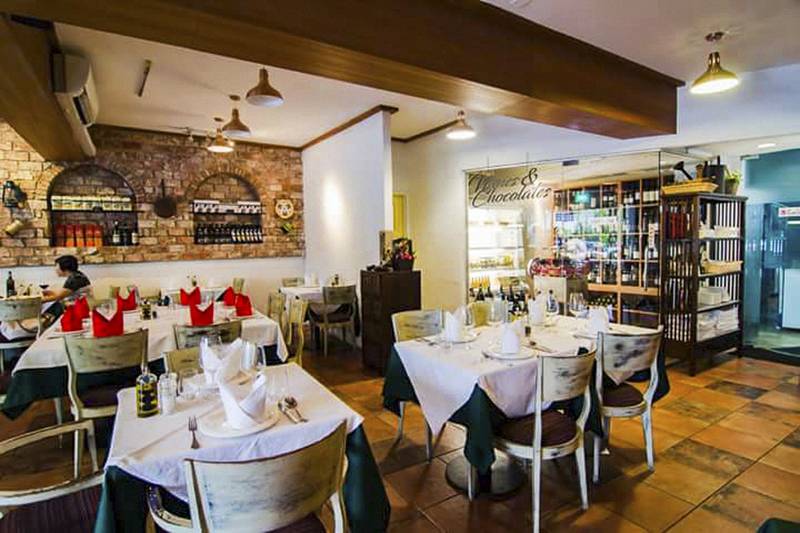 Burlamacco is about having mouth-watering Italian cuisine, in a relaxed and friendly atmosphere. Expect a range of hearty Southern Italian dishes from Beef Tripe Stew, Pappardelle Pasta with Black Pig Ragout, Potato Gnocchi with Scampi in Pink Sauce, Traditional Florentine Black Squid Ink Risotto, to Traditional Tuscan Fish and Seafood soup with Garlic Bruschetta. 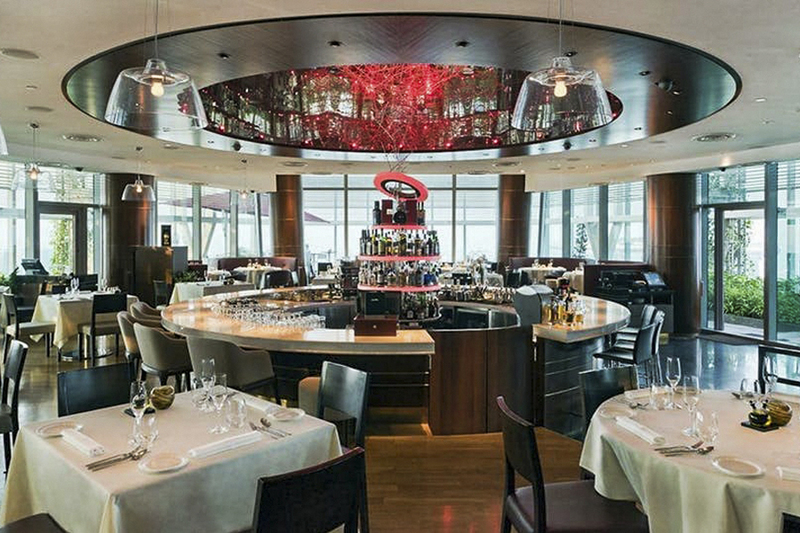 Tablescape is located on level three of Grand Park City Hall, and diners can expect Modern European classics complemented by a contemporary bar. Also included is an upscale table-side trolley service, which will complete your dining experience. 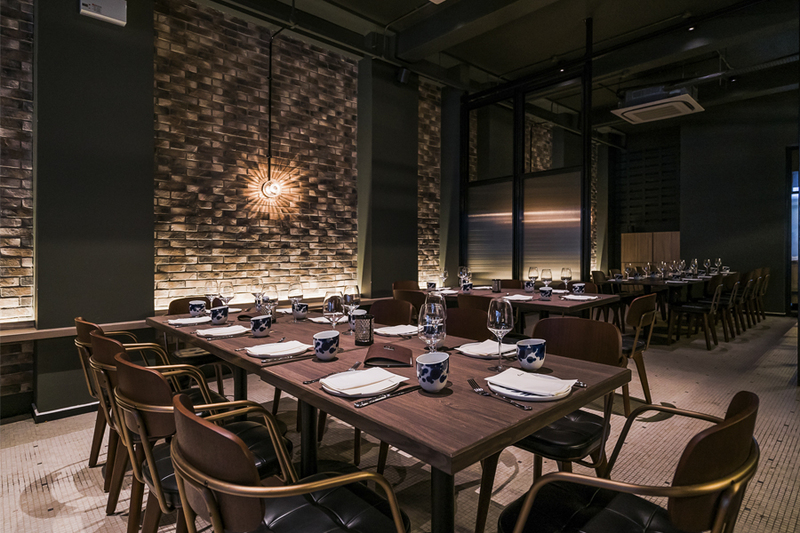 Several of the main courses include premium meats and fish grilled in a Josper Charcoal Oven, such as Norwegian Fjord Trout, Milk-fed Veal, Mayura Full-Blood Wagyu Rump Steak. 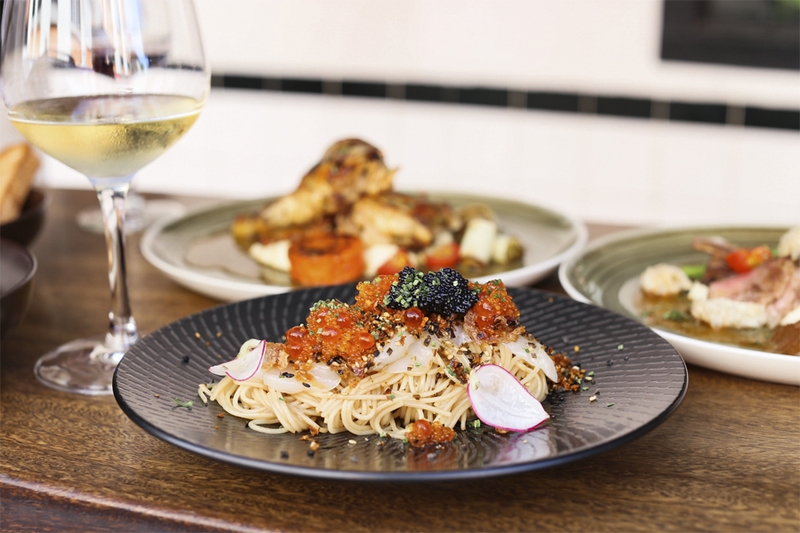 You can now pre-purchase dining vouchers and get up to 50% OFF when you dine at selected timings at over 100 top restaurants in Singapore. 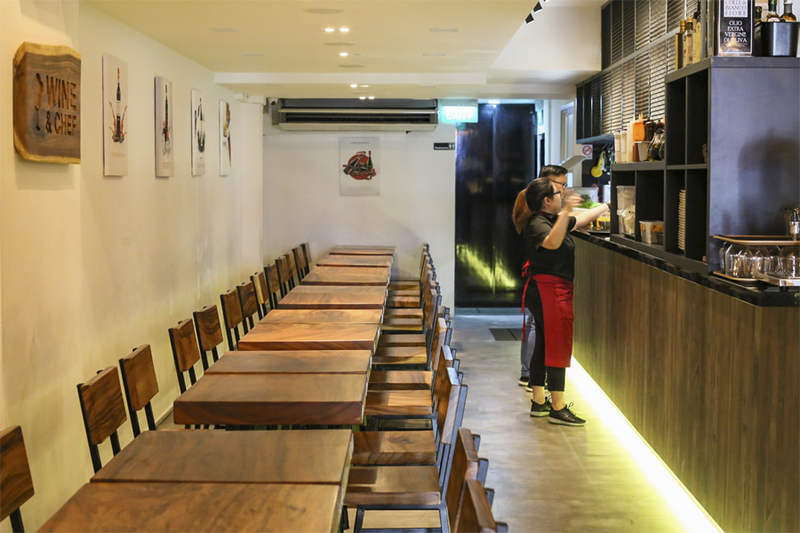 For example, you can enjoy up to 50% OFF Wild Honey (Scotts Square) on Monday to Friday, 4pm to 8pm; Saturday to Sunday, 5pm to 8pm. Note that the timings shown refer to the start of your reservation time and not dining duration. 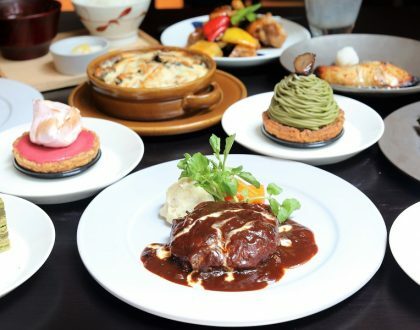 Other than the listed restaurants above, you can expect to enjoy more deals at Jumbo Seafood, Ng Ah Sio (Keng ee and Rangoon), Chui Huay Lim Teochew Cuisine, JPOT (Tampines 1), Dancing Crab, 49 Seats, Blue Jasmine, Chug Chug, Uncle Leong Signatures (Waterway Point), Blue Lotus Chinese Grill House, Ninja Bowl, CreatureS, 8 Korean BBQ (The Central), Plentyfull, Gudetama Cafe Singapore, REDPAN and The Providore (Downtown). Head to Chope Deals or Chope’s mobile app (available on both iOS & Android phones) to pre-purchase dining vouchers for your desired restaurants. You may either purchase these vouchers before, or after making your Chope reservation at the selected restaurant. Step 1: Choose your preferred restaurant and dining time on the Chope Deals website or Chope App (from the “Save Tab”). Step 2: Pre-purchase discounted dining vouchers and instantly receive your Chope vouchers by email and app. Step 3: Simply present your voucher prior to ordering, and pay with your Chope vouchers to enjoy your discount! 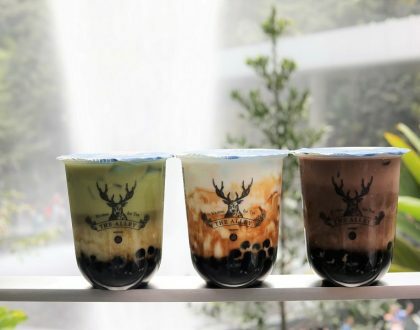 What’s more, customers who make their first purchase can get an extra $10 off* with the discount code , through the Chope app.